Helsinki (AFP) - Iraqi twin brothers went on trial Tuesday in Finland over their alleged role in a 2014 massacre of up to 1,700 unarmed recruits by the Islamic State group in Iraq. The 24-year-old brothers, who came to Finland as asylum seekers in September 2015 and were arrested a few months later, have pleaded not guilty to the charges. The trial began on Tuesday with procedural matters, and the defendants were not in the courtroom. 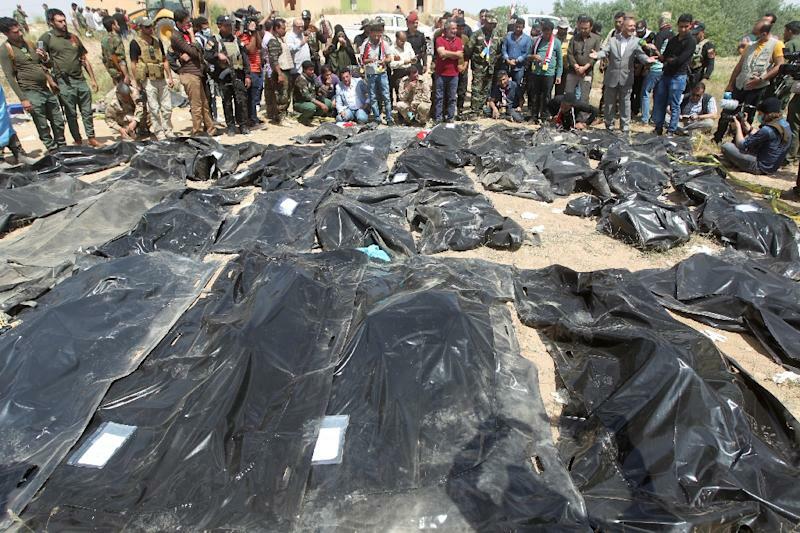 The prosecution is seeking life in prison for the brothers' alleged role in the massacre of unarmed, mostly Shiite military recruits captured outside the Speicher military base in Tikrit. The highest estimates put the total number of executed cadets at 1,700. One of the two brothers is believed to appear in a propaganda video later released by the Islamic State group (IS), shooting dead at least 11 prisoners who had been forced to lay down in a hole on the ground for execution. The twins look so much alike that the prosecutor has been unable to identify which of the two may appear in the video, opting instead to charge them both for an unspecified number of murders. Deputy state prosecutor Raija Toiviainen said the murder charges covered the twin's active role in the massacre as a whole, for capturing and transporting the victims, all the while knowing it would result in their execution. "In the same way that if a murder takes place on the street in which several people participate, one by firing the gun and another one by holding the victim still for example... they can all be sentenced for murder," she explained to AFP. The twins have also been charged with committing a war crime for allegedly killing unarmed cadets, as well as for "aggravated assault with terrorist aims". One of the prosecution witnesses has claimed that the brothers, together with other IS fighters, captured and beat him up in his apartment and then took him by force to a former palace of late Iraqi dictator Saddam Hussein where the assault continued. A life sentence in Finland usually consists of 14 years in prison before the prisoner is paroled.